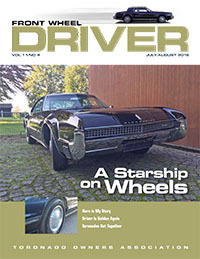 2016 marks the 50th anniversary of our beloved front wheel drive automobile! We are the premier organization supporting members with a love for all Toronados. The second-generation Toronado, 1971-1978, was a big sales success; at least until the gas-crunch of '73! third-generation Toronado, 1979-85, was significantly down-sized while offering all the comfort and space of the earlier Toronados. The final, fourth-generation Toronado, 1986-92, was generally considered too small for the target market and did not sell well. Despite adding nearly a foot to the car's length in '90, Toronado ceased production before the '92 model year ended. 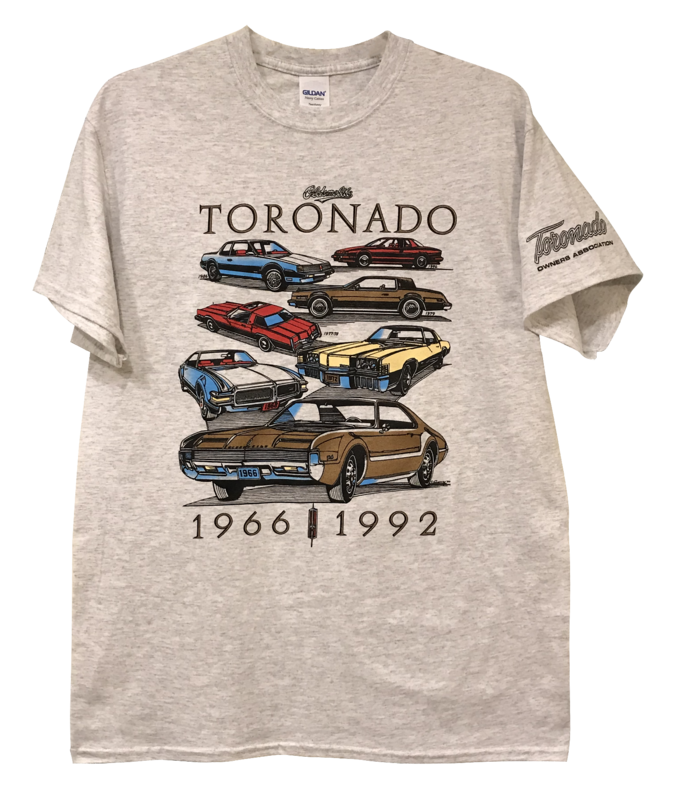 The Toronado Owners Association is a group of enthusiasts who believe that Oldsmobile was in front of all its competition when they built the first modern era front-wheel drive passenger vehicle back in 1966. 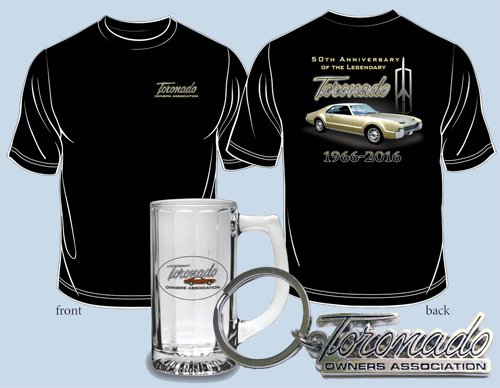 We love the Toronado, from the first year of 1966 to the final production run in 1992, and its successor, the Aurora. Our organization exists to share the pride of owning such a wonderful vehicle, to ensure that as many of these fine cars survive as possible, and to assist their owners in keeping these marvels of engineering on the road. Pay your dues with Paypal! Get your official TOA merchandise! These high quality items are now available! Details are in the Store.